Instead of striking fear into his opponents, Matt Harvey simply throws strikes. The Mets’ pitcher may not have a cape and cowl or some batarangs, but he’s proudly sporting the blue and orange as he throws baseballs with incredible accuracy – a feat that Batman himself would be proud of. In the DC universe, bad guys fear Batman. 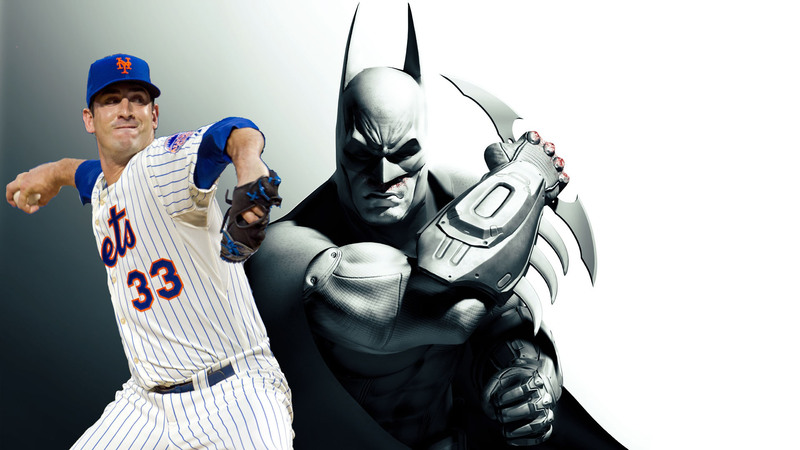 In our world, batters fear our version of the Dark Knight: Matt Harvey. He’s tall. He has long, blond hair. And he has one heck of a throwing arm. 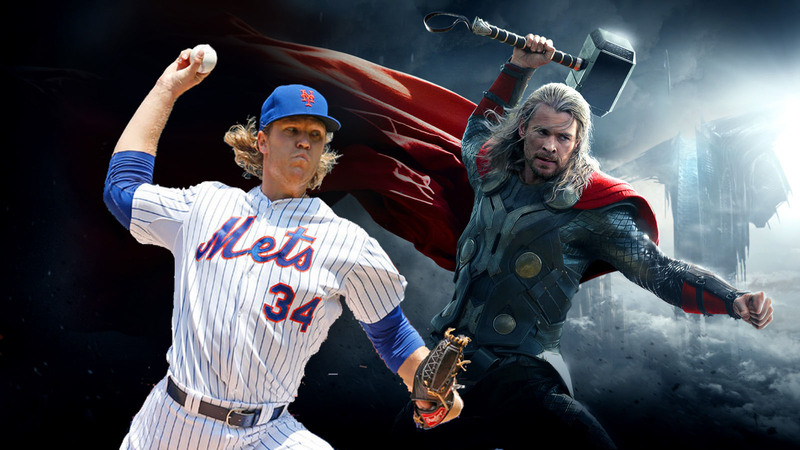 No, we’re not talking about the God of Thunder – we’re talking about Noah Syndergaard! The physical parralels are obvious, and the pitcher’s ability to throw a ball reminds fans of the way Thor throws his hammer with amazing force at his enemies. Fun fact: you can even use the letters in his last name to spell “Asgard”. Coincidence? We think not! What good is an outfielder if they aren’t swift? Thanks to his superhuman speed and reflexes, Curtis Granderson was able to catch Chris Coghlan’s fly ball against The Cubs last night! Granderson – or should we say “the speedster”? – denied the Cubs a much-needed home run. It’s very possible Granderson is stealing a bit of the Flash’s Speed Force when he’s out in the field or running to the next base. Daniel Murphy may not have the kind of ring that truly matters to baseball players (not yet, at least! ), but that’s not stopping him from acting like a cosmic heavy-hitter! It’s almost as if he created his bat as a green construct and then used it to swing away at whoever’s foolish enough to throw a ball at him. As long as the ball isn’t yellow, he should continue to unleash the kind of power that Green Lanterns are capable of. If a team was full of Marvel and DC heroes, there’s just no denying the fact that they would all respect and listen to one man: Captain America. 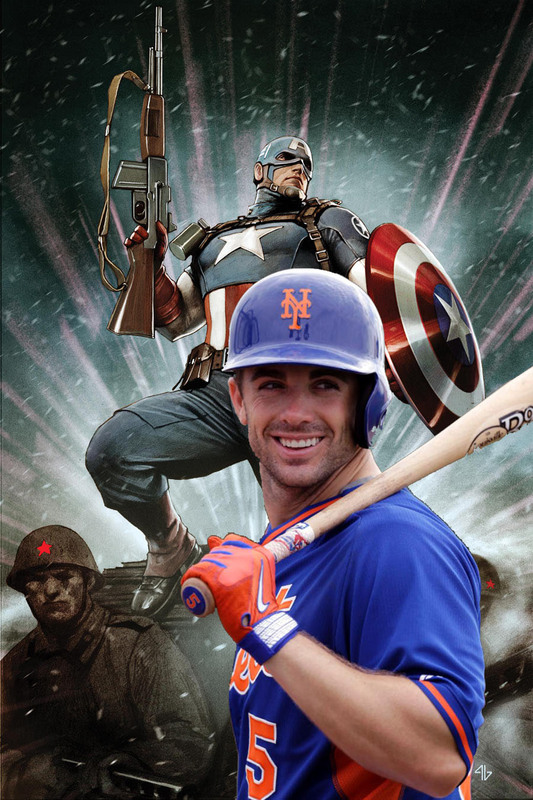 So, it’s only fitting that the Mets’ captain should be… well, Captain America! Maybe if we’re lucky we’ll hear him shout, “Mets assemble!” in the next game. There’s a lot of powerful comic book characters out there. 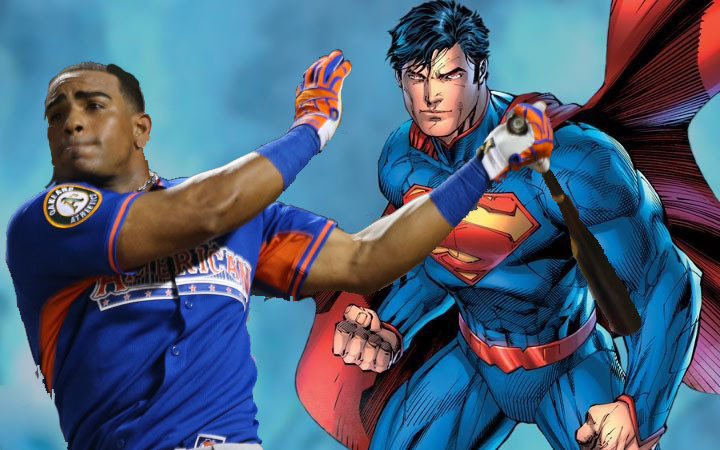 Hulk’s strength grows and grows, and Wolverine can heal from just about anything, but Superman is one of the most well-rounded powerhouses around, and that perfectly represents Cespedes’ ability to play well, no matter where he is on the field. As long as the Cubs don’t get their own version of the deceptive and evil Lex Luthor, Cespedes the Man of Steel should continue to thrive. Lucas Duda is the strongest one there is! This first baseman is known for his ability to hit a ball with all of his might, and when someone releases that kind of force, there’s always going to be some anger behind the hit. 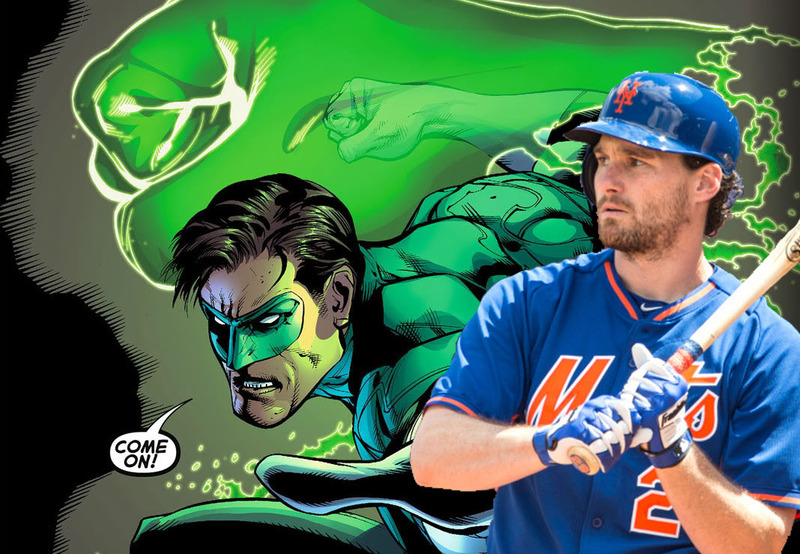 Duda may not be smashing the ground with big green fists, but he certainly is swinging a bat with superhuman strength! Just like the teleporting X-Man, Flores has become a fan-favorite. 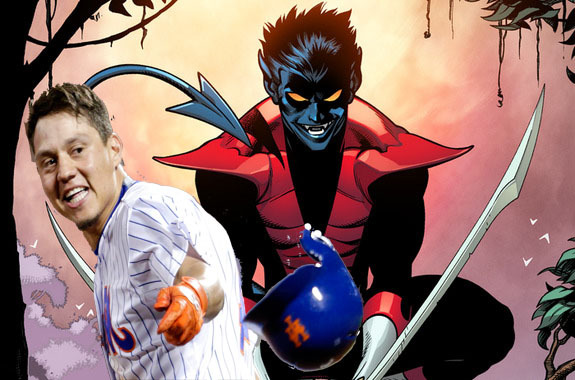 Sure, he may not be able to teleport, but after reports of him potentially being traded, fans have rallied behind him and continue to cheer for him, just like the X-Men’s blue elf, Nightcrawler. He’s young, but that isn’t stopping him from stepping into the stadium and going head-to-head with some of the most talented competition that’s out there. At just 22 years-old, Michael Conforto is obviously Robin – a young and skilled character who can hold his own, even when his competition has more time on the field. 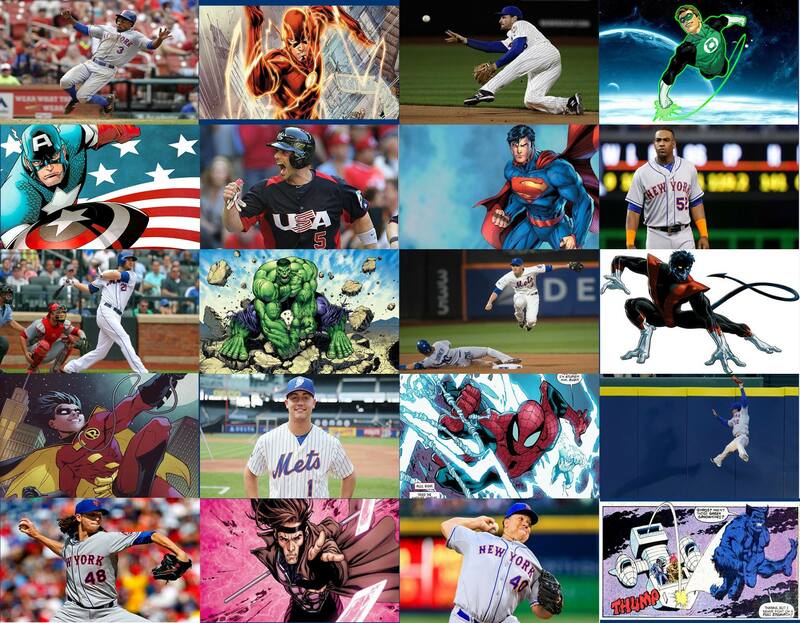 Juan Lagares’ jaw-dropping abilities as a left fielder made his comic book counter-part an obvious choice: Spider-Man! His talent at catching fly balls is so good that some may think the guy has Spidey’s superhuman speed and agility, as well as spider sense to boost his reflexes. 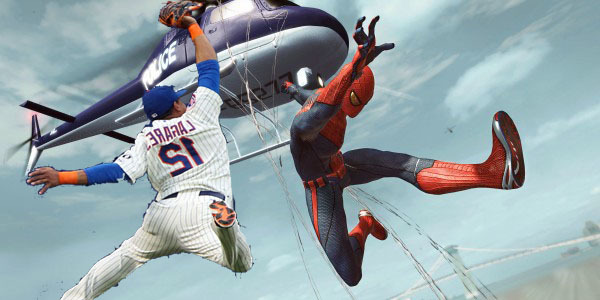 Juan Lagares does whatever Spider-Man can… in the left field, at least. Jacob DeGrom can’t make a baseball explosive, but he sure can throw it just as well as Gambit can throw one of his glowing cards! Accuracy and speed is key for DeGrom, and that’s something Gambit – an agile X-Man – knows oh-so-well when he’s tossing projectiles at his foes. 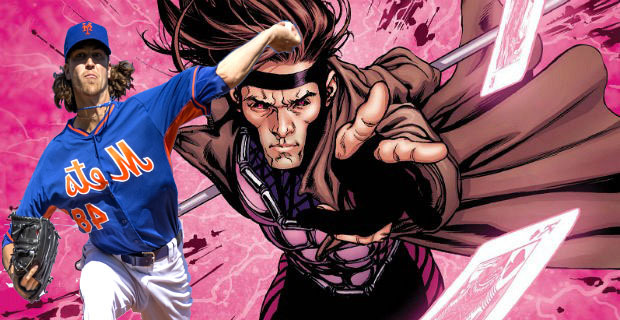 The fact DeGrom’s hair kind of looks like Gambit’s doesn’t hurt the comparison, either. 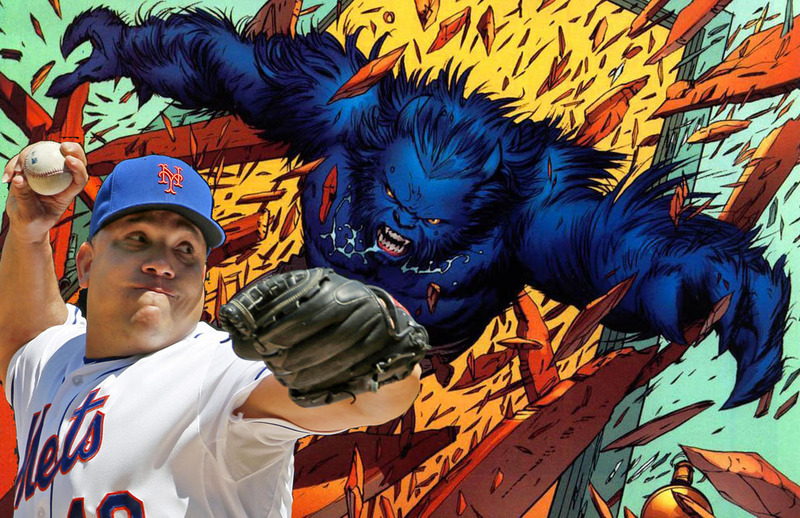 Bartolo Colon may not be blue and fuzzy or hangs around upside down (or so we think…), but the 42 year-old pitcher has years of experience, just like the X-Men’s longtime member Beast. And hey, he is technically wearing a decent amount of blue! 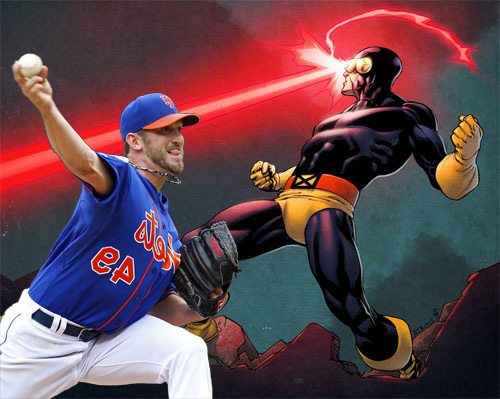 Just like how Cyclops has been with the X-Men for quite some time, Niese has been with the Mets since 2008. As a pitcher, tactics and accuracy are two mandatory qualities. No matter how you feel about Marvel’s Cyclops, no one can dispute those are two things the mutant has mastered. Now, if only Niese could fire baseballs from his eyes instead of pitching them with his arm. Optic strike!